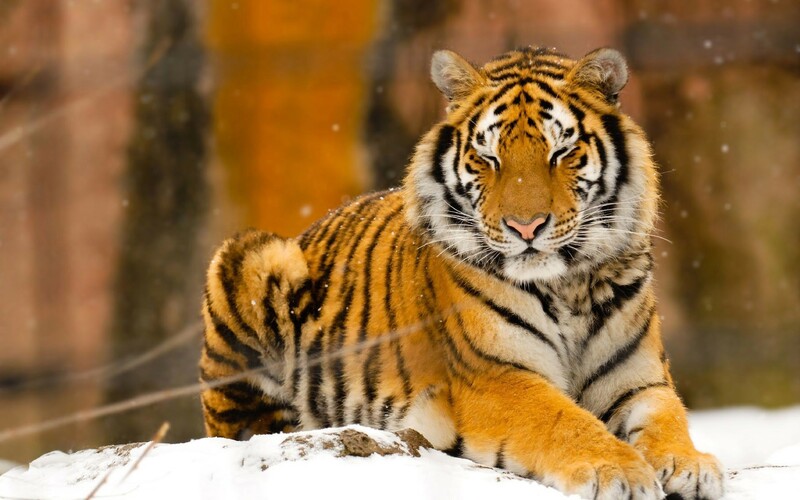 Also known as Amur tiger, the Siberian tiger is an endangered species according to IUCN’s Red List. 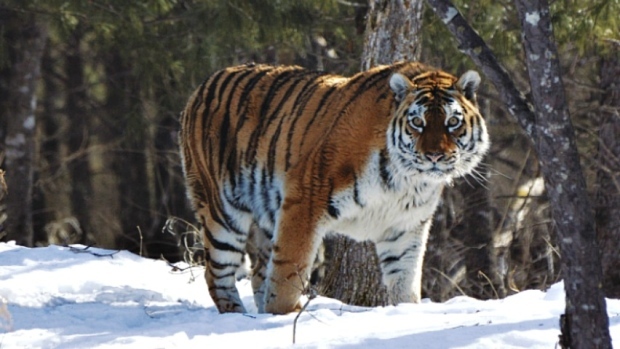 These large cats that previously inhabited the Korean Peninsula, Eastern Mongolia, and northeast China are now only found in the Sikhote-Alin mountain range located near the Amur River, Russia. They are the biggest of all tiger species, growing up to thirteen feet tall and weighing 700lbs. as adults. 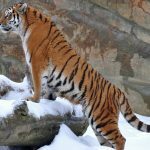 There are only about 480-540 individual Siberian tigers available today, with about 100 cubs (2015 census). Their populations are closely monitored by the World Wildlife Fund (WWF) which also has conservation measures in place for them. 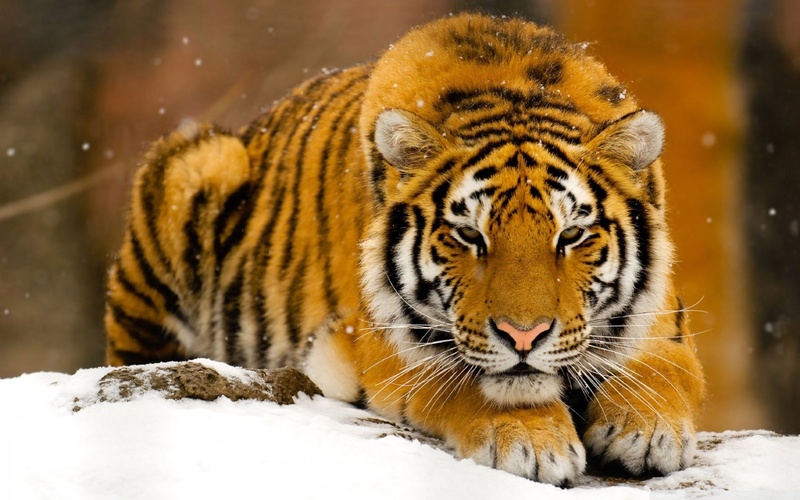 The Siberian tiger preys on sub-adult brown bears and young bears. There are also regular observances of male tigers preying on adult Ussuri brown bears. Small Asian black bears and Ussuri brown bears therefore contribute a total 40.7% of their food. 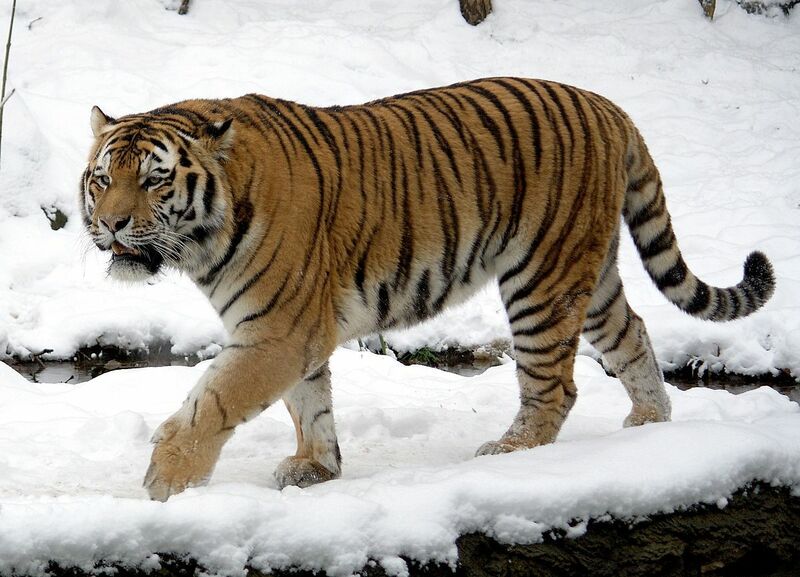 Other animals that constitute the diet of Siberian tigers include wild boar, rabbits and rodents, lynx, deer and elk. And during the scarcity of food, they may feed on fish. 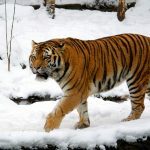 Currently Siberian tigers mainly inhabit Russia’s birch forests, north Korean pine broadleaf forests and the central Sikhote-Alin mountains (in Khabarovsk and Primorski provinces), and few of them have been found in China. 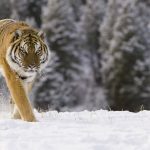 The WWF has put in measures to protect Amur tigers in the Far eastern side of Russia and China. 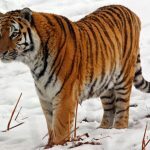 Siberian tigers are lone animals known to transverse large areas, usually over 1,000km and sometimes ecologically crossing countries while hunting. They are very territorial and will normally mark their scent on trees to alert other tigers of their presence. 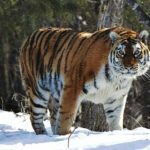 Their fast decline happened as a result of massive human poaching, but later their numbers have increased due to their protection during the Sikhote-Alin Zapovednik Siberian Tiger Project. With more females surviving, mothers were observed to share their territories with the daughters until the daughters achieved maturity. 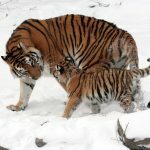 Amur tiger cubs are usually born in a sheltered den and they are born blind after three and a half months of gestation. The males break away from their birthplace and travel far from their mothers in solidarity; while the females stay longer and even share territory with their mothers before attaining maturity and mostly establish territories near their original ranges. Males become sexually mature when about 48 to 60 months old, while females become sexually mature when three to four years old. 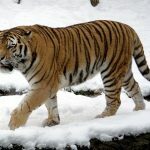 Naturally Siberian tigers living in captivity live longer than their wild counterparts due to human encroachment and poaching threat. 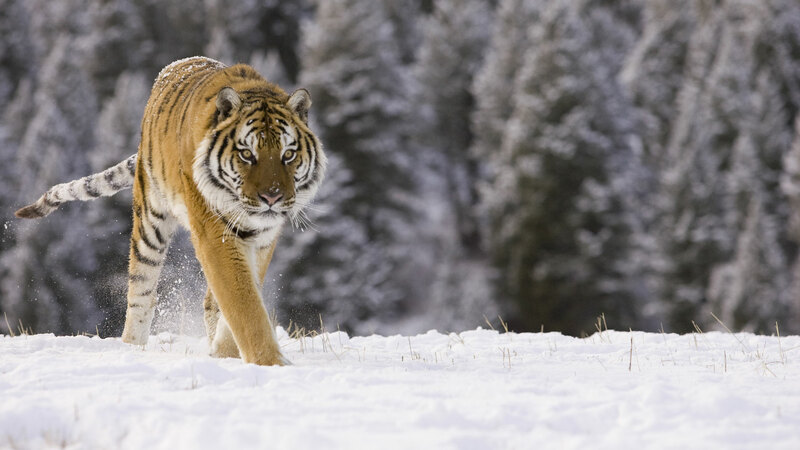 The Siberian tiger is known to be a dominant predator and has few enemies. They share their habitats with wolves and bears, and mostly prey on these large animals. 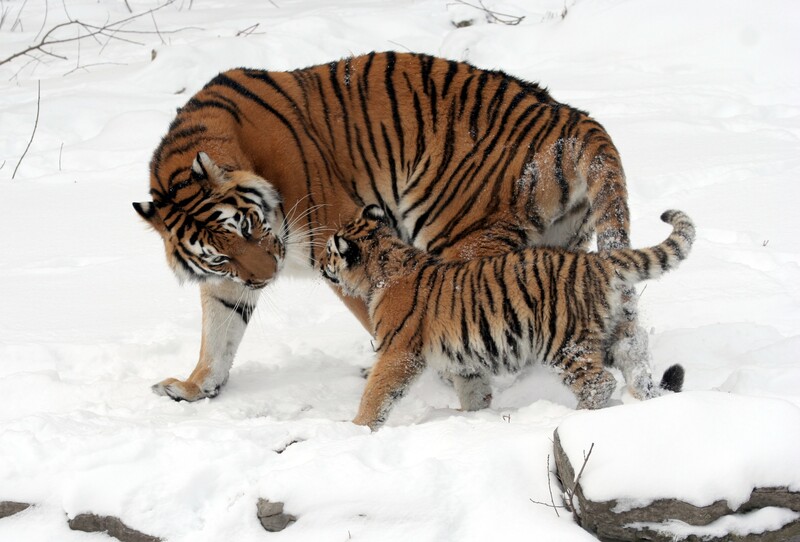 There is no defined mating season for Amur tigers. 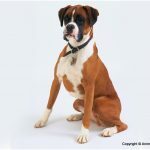 Usually a female on heat will give a signal to males by leaving scratch marks on trees and urine deposits. She will then spend 5 to 6 days with the prospective male, and copulate for three days. The gestation period is between three and three and a half months after which two to six cubs are reproduced. The liter number consists half of both sexes. 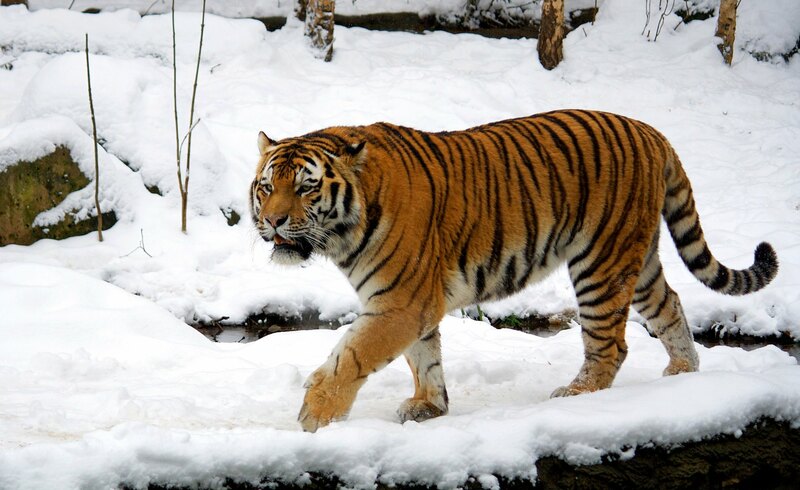 Siberian tigers are characterized by tawny red or orange-like fur coating with dark brown stripes. Their pelage appears to be extremely pale, although there are differences in individuals. 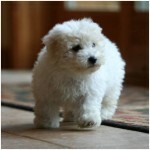 Their furs are thicker than those tigers living in Southern Asia, with extra fur around the neck. Amur tigers have a white or cream color on their under parts and face. 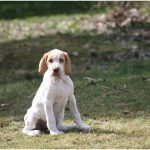 They have round large ears with white spots on the back. 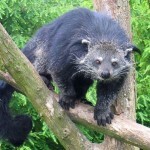 Their large paws also have furs as an adaptation for their habitat. Their orange color and stripes are not as distinct as for other tigers. 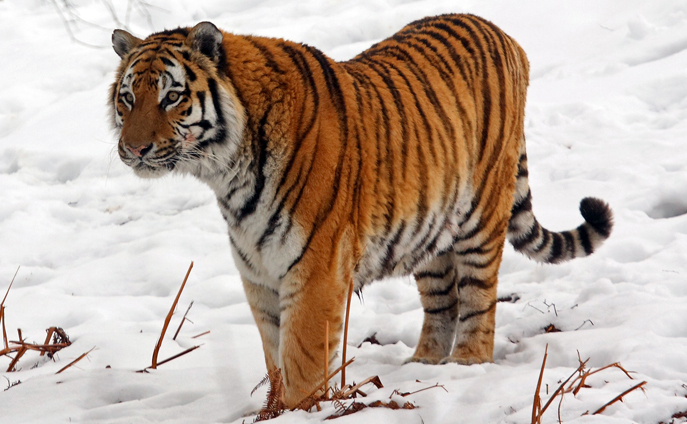 The lifespan of Siberian tigers is mostly interrupted by human activities. While it’s estimated that these tigers can live for up to 15 years when in the wild, those in captivity can live for up to 22 years. Their mortality has been largely caused by poaching, but natural courses like predation and starvation are also some contributing factors. 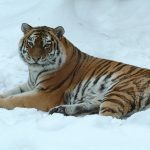 Although the population of the world’s largest tiger is mainly threatened by human encroachment and poaching, Canine distemper virus, popularly known as the ‘domestic dog disease,’ also threatens the health of Amur tigers. Earliest cases were found in 2003 and 2010, and studies are continuing to find out the risk of this fast spread disease amongst the tigers, considering their small groupings. 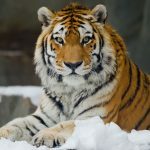 Although there needs to be hosts to pass this pathogen to affect the lives of these big cats, this particular pathogen can live in multiple hosts and in many animals, making it a huge threat for these already endangered animals. 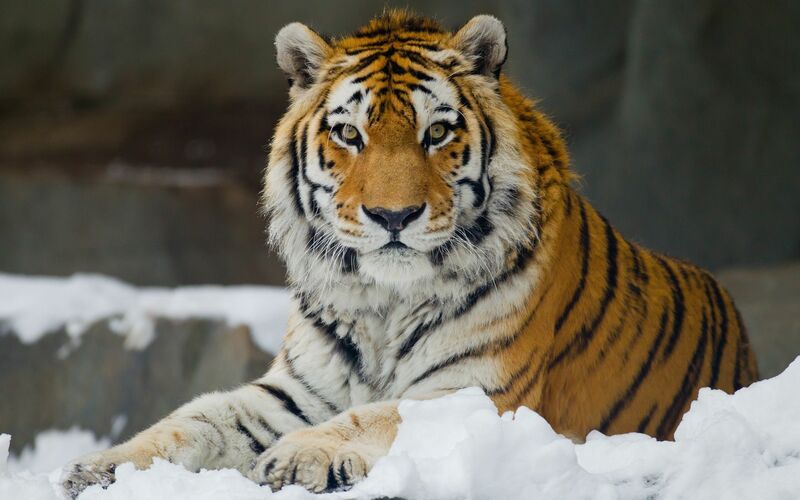 The Siberian tiger is known to shed its fur as part of its development process. Their fur sheds in the summer and becomes short and thick, which fully grow again in winter. This is an adaptation method to help them survive in different weather conditions. 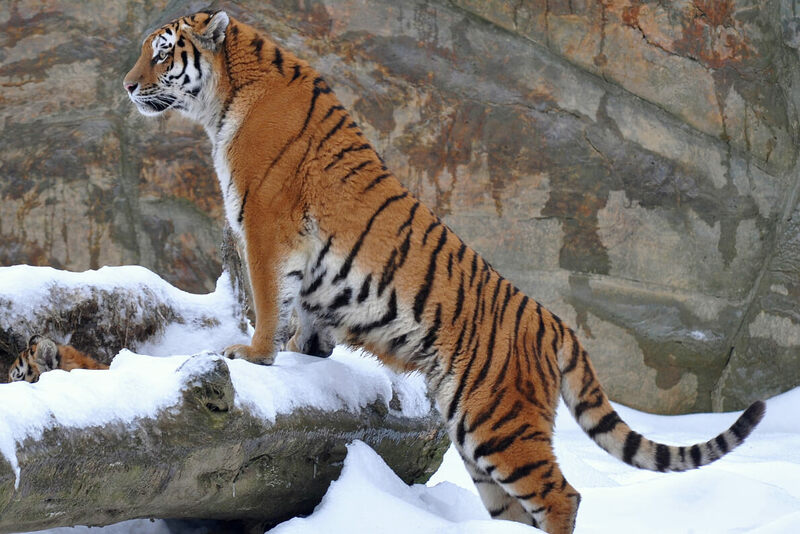 The dwindling population of Siberian tigers called for protective measures to be put in place to preserve them. 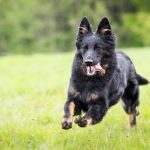 Previously they were hunted in many countries for their body parts and fur which are used in traditional Chinese medicine. 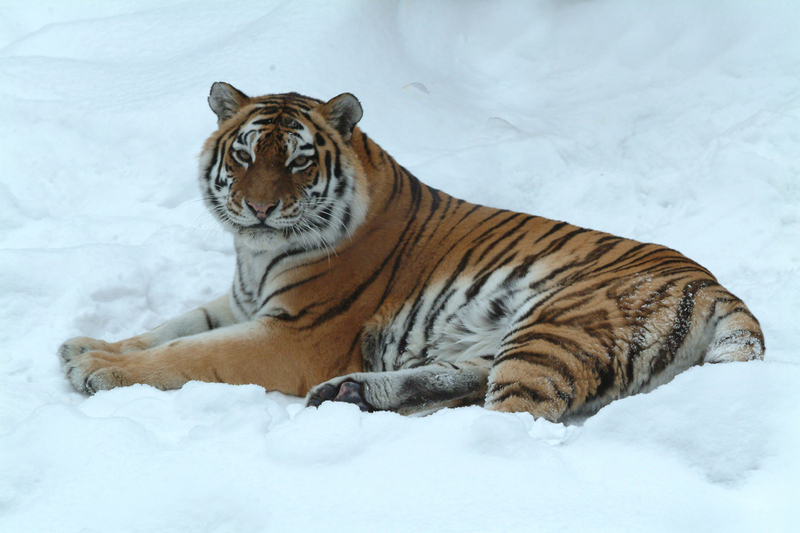 Conservation efforts were first put in place in 1992, with the foundation of the Siberian Tiger Project. However their population study in 2005 showed worrying dwindling numbers which called for enhanced conservation efforts. Fortunately the latest conservation efforts have improved the numbers and by 2015 the numbers were seen to be steadily rising again. 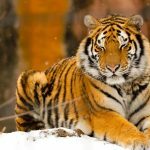 The WWF closely monitors their population and many countries, including the USA, Russia and China have strict laws guarding against selling and importation of tiger parts. 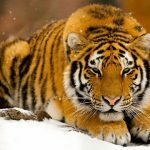 The Siberian tiger is a subspecies of tigers and the largest existing tiger in the world.